After eons of wandering in the dark, primates developed highly acute, three-color vision that permitted them to shift to daytime living, a new Dartmouth College study suggests. The findings challenge the prevailing view that trichromatic color vision, a hallmark of primate evolution, evolved only after they started getting up with the sun, a shift that gave rise to anthropoid (higher) primates, which, in turn, gave rise to the human lineage. The results are published in the journal Proceedings of the Royal Society B: Biological Sciences. The authors based their findings on a genetic study of tarsiers, the enigmatic elfin primate that branched off early on from monkeys, apes and humans. Tarsiers have a number of unusual traits -- from their ability to communicate in the pure ultrasound to their iconic bulging eyes. Such sensory specializations have long fueled debate on the adaptive origins of anthropoid primates. Dartmouth researchers who discovered the tarsiers' ultrasound vocalizations in a study last year said their new study sheds light on why the nocturnal critter's ancestors had enhanced color vision better suited for daytime conditions like their anthropoid cousins. 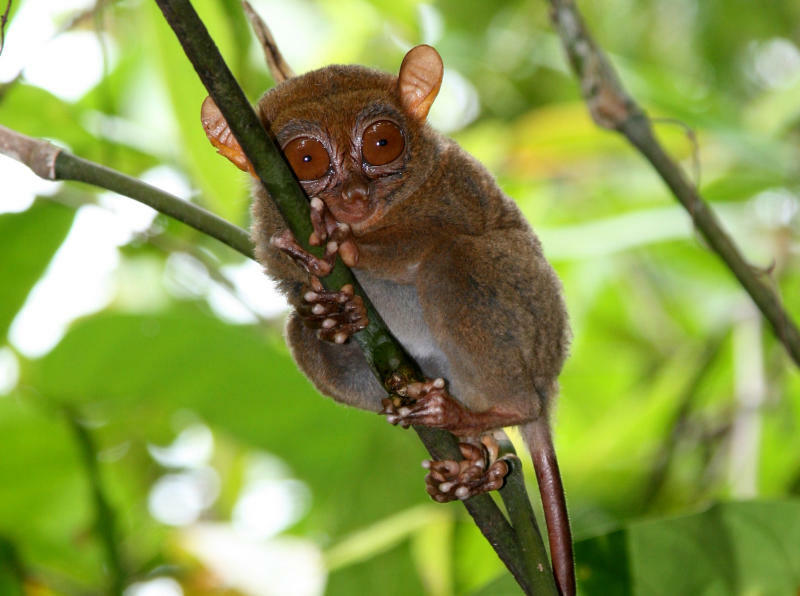 The authors analyzed the genes that encode photopigments in the eye to show that the last common ancestor of living tarsiers had highly acute, three-color vision much like living monkeys and apes. This finding would normally indicate a daytime lifestyle, but the tarsier fossil record showing enlarged eyes suggests they were active mainly at night. These contradictory lines of evidence led the authors to suggest that early tarsiers were instead adapted to dim light levels, such as twilight or bright moonlight. These light conditions were dark enough to favor large eyes but still bright enough to support trichromatic color vision. The authors said such keen-sightedness may have helped higher primates to carve out a fully daytime niche, which allowed them to better see prey, predators and fellow primates and to expand their territory in a world no longer limited to the shadows. The above story is reprinted from materials provided by Dartmouth College, via EurekAlert!, a service of AAAS.